A new mattress is more than just a purchase; it’s an investment. When you consider that you spend about a third of every day in your bed, it becomes even more apparent that buying the right mattress is essential to your well-being. Of course, it’s also important that you consider your health, your family’s health and the health of the planet. Many mattresses are built using materials that are devastating to the environment. Many more are crafted using chemicals and fibers that are harmful to your health. Sweet Zzz is the perfect alternative to toxic, environmentally harmful mattresses. This eco-friendly brand has created a green, non-toxic organic latex mattress that’s both affordable and comfortable. We’ll explore the brand, the mattress and more in this Sweet Zzz review. Before we explore the Natures Novel Mattress and other Sweet Zzz products, we’d like to share with you a bit about the company itself. Sweet Zzz is an American company, based in California. The company consists of a small group of people who are dedicated to ensuring that you get a good, natural night’s sleep each night. The Sweet Zzz mission is to create non-toxic mattresses that are safe for the planet. Each bed is made in the USA under fair trade conditions. 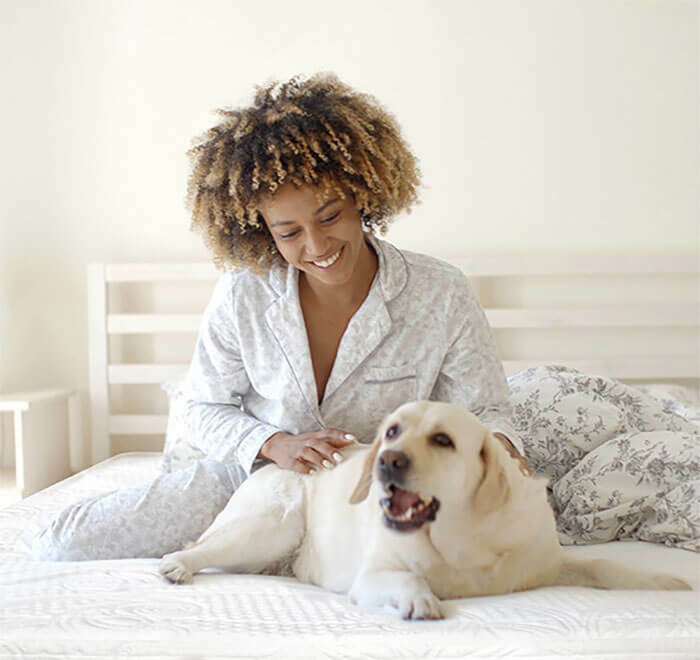 The company assures that the mattress you order will be handmade from the most sustainable ingredients, including American-sourced wool, responsibly harvested Talalay latex and sustainable cotton. The materials used to create the Natures Novel are OEKO-TEX certified to be free from chemicals harmful to your family’s health. The beds are dust-mite resistant, hypoallergenic and safe enough even for infants. 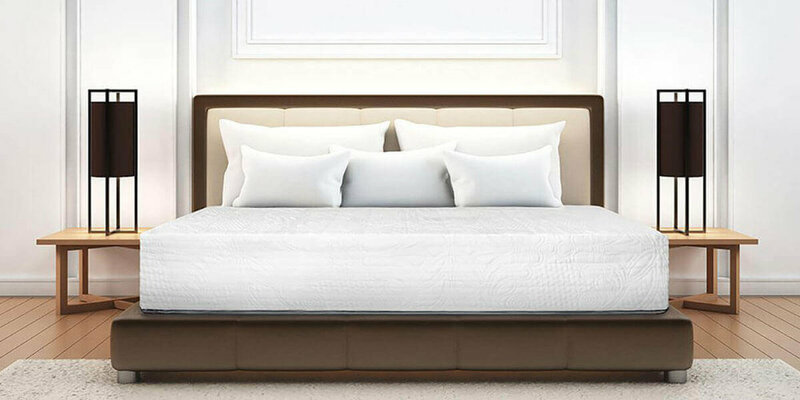 In short, Sweet Zzz’s Nature’s Novel Mattress is one of the best mattresses, most eco-friendly beds on the market today. In fact, the company is so confident you’ll love your new mattress that they offer a lifetime warranty on each. Shopping at mattress retailers, you’ll find a huge selection of beds at just about every price point. You’ll find varying firmness levels, pillow tops, memory foams, latex/coil hybrids, etc. In other words, if you can imagine a mattress, it’s available for you to buy. However, not all mattresses are created equally. In retail stores, the mattresses you shop for are often sprayed with and constructed from some pretty scary ingredients. For instance, mattresses are treated with boric acid, a pesticide or antimony, a carcinogen, as fire retardants. Memory foam mattresses are frequently constructed from petroleum products, which are harmful to the environment and to your health. It’s important that, as you shop for your next bed, you consider the environmental and health impacts your sleeping solutions may have. Sweet Zzz has done just that; let’s take a look. 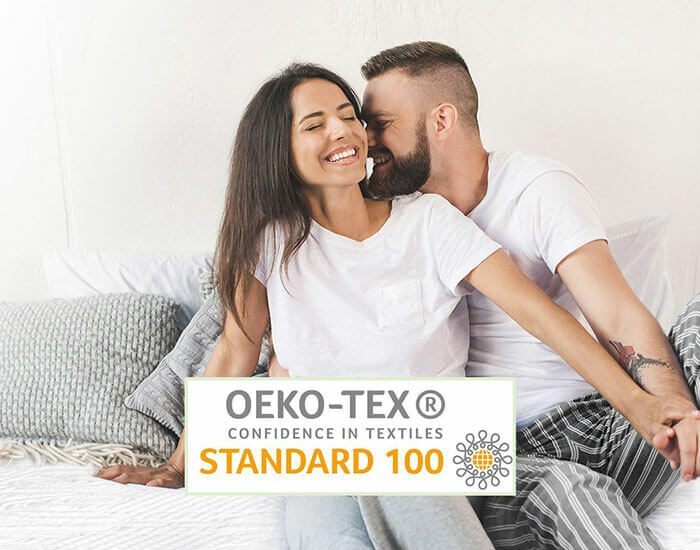 OEKO-TEX is a multinational third-party certifying agency which seeks to ensure that textile products are, in a word, safe. OEKO-TEX was launched in 1992 as an independent testing and research organization. The group has worked to create a list of chemicals and materials that are known to cause health and environmental concerns. To achieve OEKO-TEX certification, a company must prove that, throughout the entire supply chain, its materials are low in or free from certain chemicals. The products must be created under fair working standards. Finally, they must be crafted in environmentally sound facilities. To put it another way, they must be proven safe to humans and the environment. Sweet Zzz mattresses have earned an OEKO-TEX certification class I. That means they’re safe for everyone, even babies under three years old. What that means for you is that you can shop with confidence knowing your non-toxic mattresses are fair trade and chemical-free. 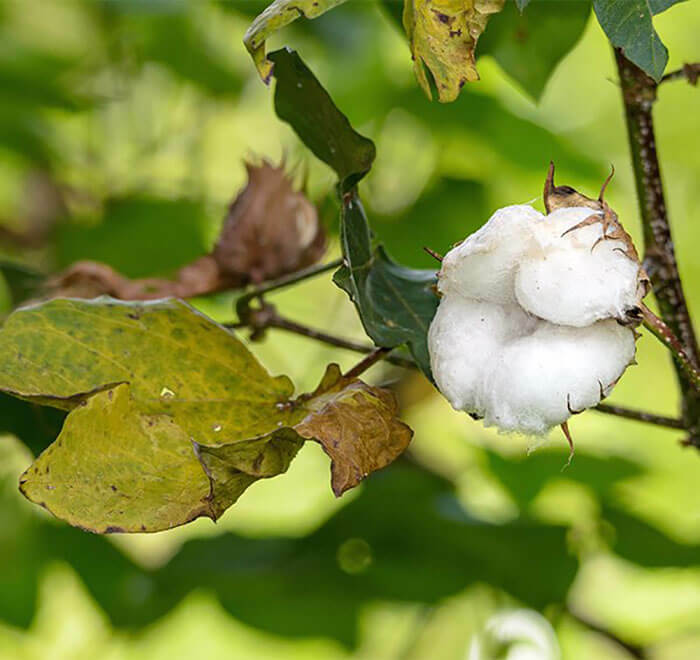 Cotton and wool are two of the most sustainable materials on the planet. That’s why Sweet Zzz has chosen to craft its mattresses and covers using natural, environmentally friendly wool and cotton. All materials are sourced and processed in the United States. The cotton and wool blend creates a breathable, soft mattress cover. In addition to its sustainability, wool offers other benefits. First, it’s naturally flame retardant. That means Sweet Zzz has no need to spray your mattress with toxic flame retardants. The mattress passes all legal requirements for flame resistance using just the benefit of wool. Wool is also moisture-resistant, antibacterial and antimicrobial. That means a clean, hypoallergenic bed for your family. It’s breathable and helps regulate your temperature allowing you to sleep cooler in the summer and warmer in the winter. Finally, wool and cotton are both biodegradable and renewable, making the Sweet Zzz cotton/wool blend an eco-friendly mattress choice. Many memory foam and organic latex mattresses are actually derived from petroleum products. That’s not only bad for the environment, it’s bad for your health, too. Most of what you smell is actually off-gassing, or the release of toxins from your bed. When you unwrap your synthetic mattress for the first time you’ll release noxious chemicals into the air you’re breathing. Those toxins are then circulated through your home and released into the air while you and your family sleep. Sweet Zzz has chosen to use Talalay latex in its natural mattresses. Natural latex that’s processed using the Talalay method is consistently dense from top to bottom, meaning a comfortable night’s sleep for you. It’s hypoallergenic, making it great for people with asthma. Best of all, it’s renewable, made solely of latex, water and air. 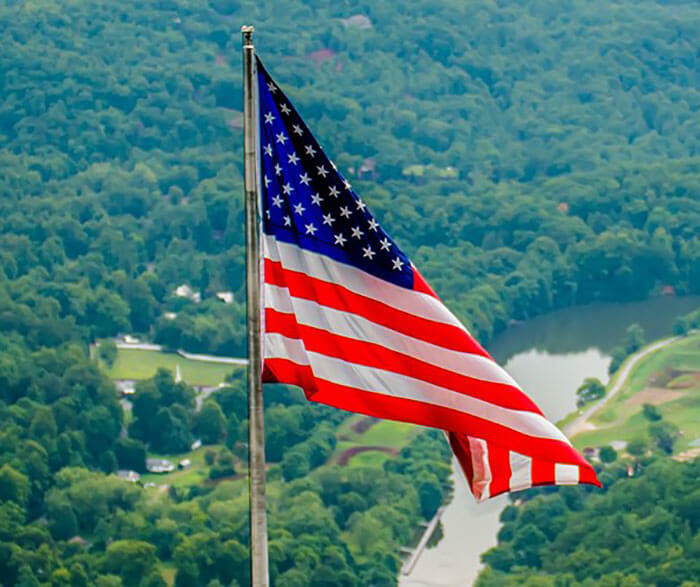 Every product offered by Sweet Zzz is handmade with pride in the USA. Workers are paid a fair wage and work in safe, eco-friendly facilities. Your purchase of the Sweet Zzz Natures Novel is an investment in the American economy. Since mattresses are created right here at home, Sweet Zzz can ensure that every mattress undergoes rigorous quality control mattress. Every single mattress sold, before shipping, will be tested for contouring and resilience, material strength, strength of construction and firmness rating. What that means for you is that you can rest assured that the mattress you receive is the mattress you ordered. You can also relax knowing that your mattress was handcrafted and tested with care to last a lifetime. Sweet Zzz operates two physical locations, with two more on the way. The company is proud to announce that both the Reseda, California and the Panorama City, California locations use energy efficient lighting and adhere to cleaner air standards. Products are shipped in a way that reduces the carbon footprint of the sale. The Natures Novel mattress and the Sweet Zzz Natural Pillow are shipped rolled, compacted to take up minimal space. Upon receiving your mattress, plan to allow the mattress to expand for a few hours before sleeping on it. Sweet Zzz offers two products in its collection: the Natures Novel Mattress and the Sweet Zzz Natural Pillow. We’re happy to introduce them both to you as we believe them to be among the best earth-friendly sleep solutions on the market. The star of the Sweet Zzz product line is the OEKO-TEX Certified Natures Novel mattress review. This mattress is handmade in the USA from all natural materials. The cover is comprised of a sustainable cotton and wool blend, creating a breathable and hypoallergenic sleeping surface for you and your family. 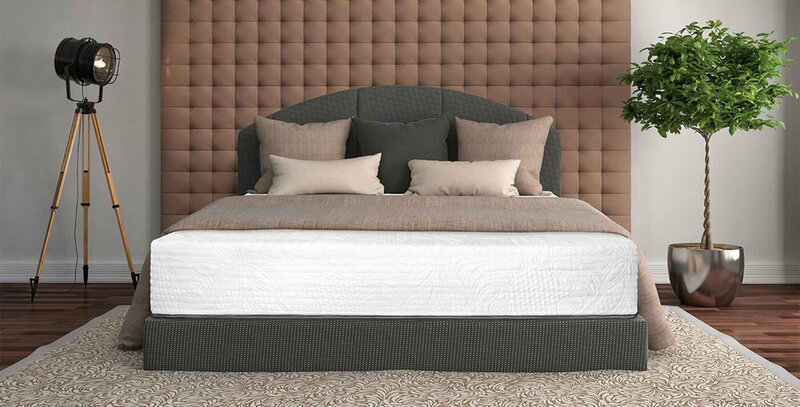 Beneath the cover is a foam core created from 100% natural Talalay latex. On a scale of 1 to 10, the Natures Novel measures a firmness of 7.5. That means it’s perfect for every sleeper, whether you prefer to lay on your stomach, back or side. The Natures Novel mattress comes with a 100-night risk-free trial and a lifetime guarantee. The second product in the Sweet Zzz product line is the Sweet Zzz Natural Pillow review. This pillow is available in two sizes: queen and king. You may also choose from soft or firm, depending on your personal sleep preference. The Sweet Zzz Natural Pillow is made from OEKO-TEX Certified natural, chemical-free, sustainable Talalay latex. 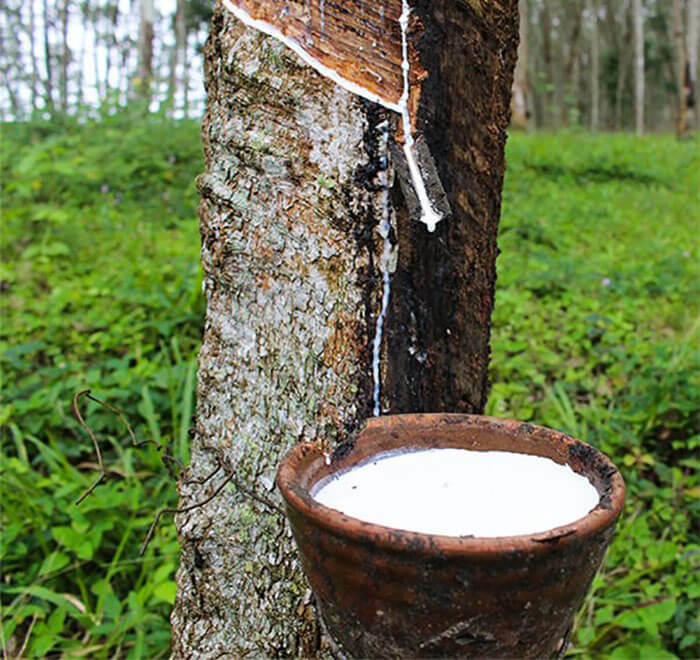 The latex is a breathable and hypoallergenic blend, so those with respiratory considerations and allergies can feel comfortable resting on the Natural Pillow. The bedding is covered with a soft cotton which was sourced and processed in the USA. Whether you choose a soft or a firm pillow, you’ll love the soft, cool feeling of the Sweet Zzz Natural Pillow. Customers have said it’s like they’re always sleeping on the “cool side of the pillow,” as the product doesn’t trap heat. The Natural Pillow comes with a 100-day risk-free trial as well as a 3 year warranty. We know you’re going to fall in love with your Natures Novel Queen Mattress and your Sweet Zzz Natural Pillow. However, Sweet Zzz goes one step further: they guarantee it! The company offers a 100-night sleep trial with every purchase. There are a few stipulations to the trial, but we think you’ll agree that those “catches” are to your benefit! First, the trial only begins after your organic mattress is delivered. Secondly, Sweet Zzz understands that making the adjustment to a natural latex mattress might take some time. With that in mind, they’ve asked that you keep your mattress for at least 30 days before requesting a return of the product. If, for some reason, you decide the Sweet Zzz Natures Novel isn’t for you, simply call the company. They’ll arrange for your mattress to be picked up. After checking that the mattress is free from stains, tears or damage, you’ll be refunded the full purchase price. There’s no restocking fee – it’s truly a risk-free trial. We were curious, so we asked what happens to the returned mattresses. We were pleased to learn that, rather than tossing the mattresses in the landfills, Sweet Zzz donates returned mattresses to charitable organizations. Returned mattresses are never resold. In keeping with Sweet Zzz’s mission to protect the planet, the company gives back financially to the global community. Sweet Zzz is a member of 1% for the Planet, an organization which helps connect businesses with verified, worthwhile charities. For every purchase made from the Sweet Zzz product catalog, the company sets aside 1% of the total sales. That 1% is then donated to charitable organizations. At time of writing, Sweet Zzz has chosen to contribute to two groups: the LA Food Bank and the Breast Cancer Research Foundation. Of course, these two organizations are independent of the mattresses donated by Sweet Zzz. As mentioned, every mattress returned under the 100-night sleep trial is donated to a charity. Charities in need of mattresses include shelters and homes for displaced children. We were especially excited, after chatting with Sweet Zzz representatives, that donated mattresses are donated to charities local to the customer. This doesn’t just help local non-profits, it also reduces the carbon footprint of the return process. Sweet Zzz believes that quality, eco-friendly and chemical-free safe mattresses should be accessible to everyone, regardless of financial ability. For that reason, they’ve partnered with Klarna to offer financing of mattresses. Financing your Sweet Zzz Natures Novel with Klarna is simple. Just shop the site and build your cart. Then, at checkout, choose “Pay with Klarna.” You’ll be asked to submit your date of birth and the last four digits of your social security number – that’s all! You’ll receive your financing offer immediately. Should you choose not to finance your mattress, Amazon Pay, PayPal and Apple Pay are accepted for your convenience. Prior to sharing this Sweet Zzz review, we’d heard many good things about the company. We love that all mattresses are made in the USA by American workers, and we’re always proud to support small-scale businesses. However, we wanted to learn more about what others were saying about the Natures Novel organic mattress and the Sweet Zzz Natural Pillow. We checked reviews across the web and with customers who own the mattress. We weren’t surprised to learn that Sweet Zzz gets extremely positive reviews! Sweet Zzz serves many customers with health conditions, including fibromyalgia, restless leg syndrome, degenerative disc disease and more. Natures Novel reviews were excellent, and customers who had been previously unable to find a comfortable sleep solution were largely impressed with the quality of sleep the mattress offered. Particularly of note were reviews of Sweet Zzz’s customer service team. There are four ways you can get in touch with Sweet Zzz: by phone, by email, via chat or in a physical location. We were not surprised to learn that, no matter how reps were contacted, they strived to provide superior customer care. Visitors to the retail locations were impressed with the “patience” of the Sweet Zzz staff. After all, mattress shopping is a big decision! Customers were allowed to take their time and ask questions. Sales staff were knowledgeable, friendly and helpful. Sales representatives at Sweet Zzz do not work on commission. That means that, no matter what you’re shopping for, you’re not going to be “upsold” by Sweet Zzz staff. That said, customers stated that the reps were not afraid to make recommendations based on sleep style, life style and other considerations. Consumers were equally happy with customer service efforts via phone, chat and email. Representatives are online during regular business hours, and the phones are staffed during business hours by knowledgeable staff. We felt that it wasn’t enough to simply search the web for Sweet Zzz Natures Novel eco-friendly mattress reviews. We decided we would try one of the best mattress options available, the chemical-free organic mattress for ourselves. The first thing we noticed about the non-toxic mattress was the lack of that chemical odor you’ll usually find in retail mattresses. There was a bit of a scent, as the natural latex mattress had been packed in a box for shipment, but it wasn’t unpleasant and certainly wasn’t overwhelming. Compared to other green natural mattresses, most of us agreed: the Natures Novel queen mattress was more firm than we expected from an organic latex mattress. We didn’t get the feeling we were “sinking,” rather that we were supported, even as we experimented with tossing and turning. The wool and cotton cover was even softer than our sheets. We got up close and examined the stitching, too. You can tell just by looking at the Natures Novel mattress that attention is paid to detail. The same is true for the Natural Pillow; it’s designed and made with care and we love that the cotton cover is removable and machine washable. That makes it perfect for families with children. Overall, we think the Natures Novel mattress is a great choice if you’re looking for a natural, non-toxic mattress. If you’re looking for a mattress that’s safe and supportive enough even for babies, Sweet Zzz is one of your best mattress options.